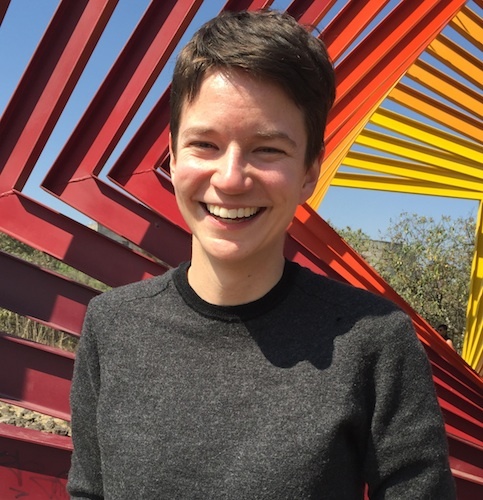 Mya Dosch is a PhD Candidate in art history at The Graduate Center of the City University of New York, and the recipient of a Beinecke Fellowship for Graduate Study in the Humanities. Her scholarly work focuses on memorial practices and public art across the Americas. Her dissertation considers artistic and architectural commemorations of the 1968 student movement in Mexico City, from monumental sculptures to ephemeral, embodied interventions. In addition to her work on Mexican art, Dosch has also published and lectured on Holocaust memorials in the US, protest aesthetics, and the renovation of political prisons.